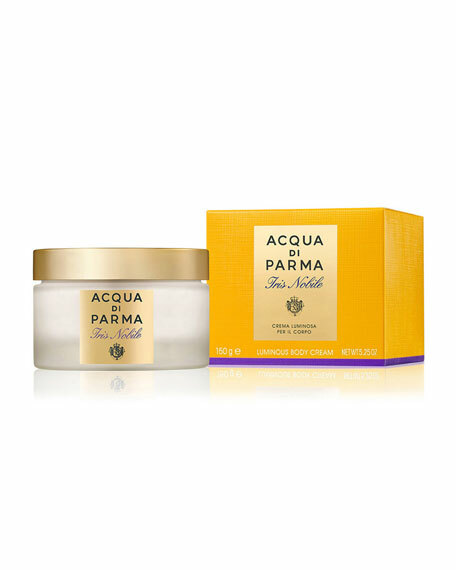 This Aqua di Parma luxurious, illuminating cream leaves the body scented with an elegant iris flower fragrance. Fresh top notes of iris petals, star anise, tangerine, and bergamot. 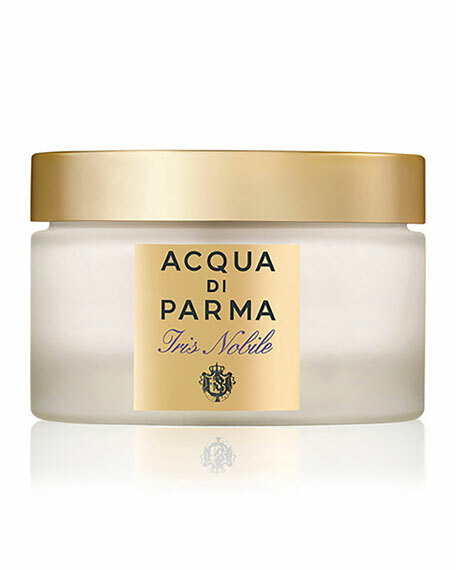 Aristocratic middle notes of iris petals concréte, cedar flower, and orange blossom water. Velvety base notes of iris rhizomes, ambrette crystal, and vanilla.